Want to brighten up a room, desk ... ? 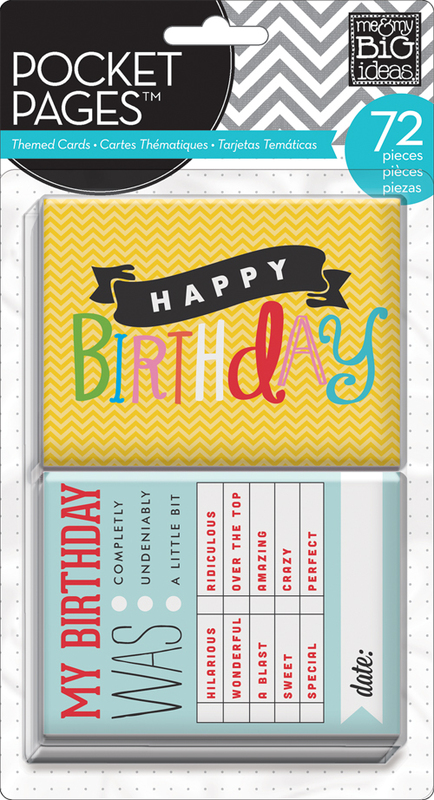 Easy, quick solution - use a bright, cheerful mambi POCKET PAGES™ card. Love this project, Jen Randall made an adorable canvas using a pocket pages card AND the packaging. Check this out! She thought using one of the yellow 4x6 (also have 3x4 in the package) in a mixed media canvas would be perfect. The best part is that she used the packaging that the cards came in for the back! Let me show you how you can make one too!! Also, the pocket pages come in several different themed packages. 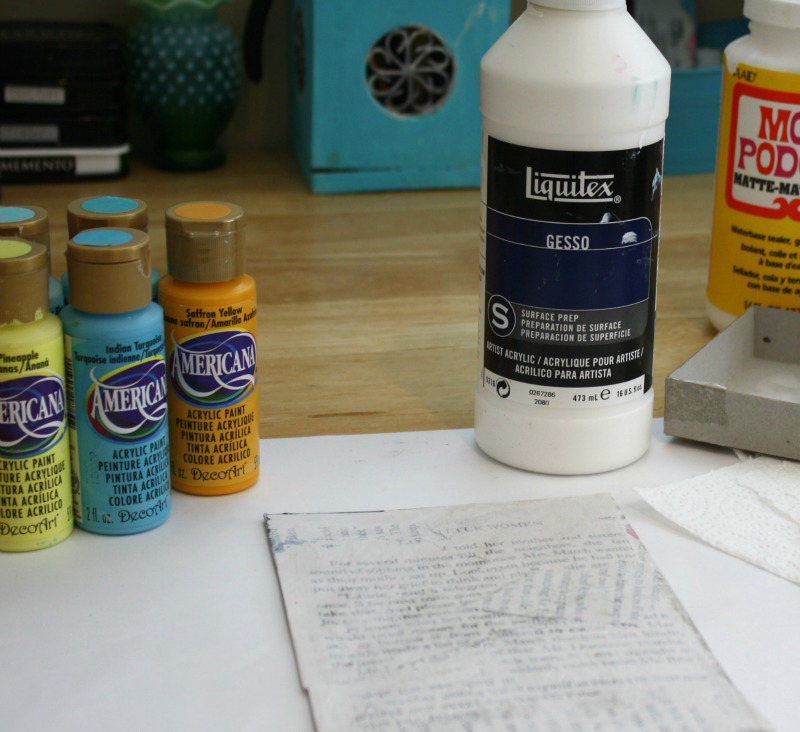 First, use the back of the packaging and glue book pages to the surface with Mod Podge. Remember to use the glue under and over. Apply a good amount to the surface, then the back of the paper. Once it is down use an old credit or gift card to press out any air bubbles. Repeat this process until the entire paper is covered. After it dries add a layer of gesso. Let that dry too. Then use paint and create a fun background. She use credit cards, a brayer, and her fingers to create variety and texture in the background. The yellows were added for a pop of color, and to tie the card into the background. Add more layers with stamps and pen. Unibal Signo, it writes like a dream. She then used a tiny butterfly stamp, so cute. The center portion of this will be under the card, so I didn't worry much about the center. Next, use an adhesive tape runner and attached the card to the canvas then hot glued three paper flowers onto the corners. Then pop an enamel dot in each center. That's it! How fun was that!? There are so many different cards in these packs, so there is so much that you can do with them. 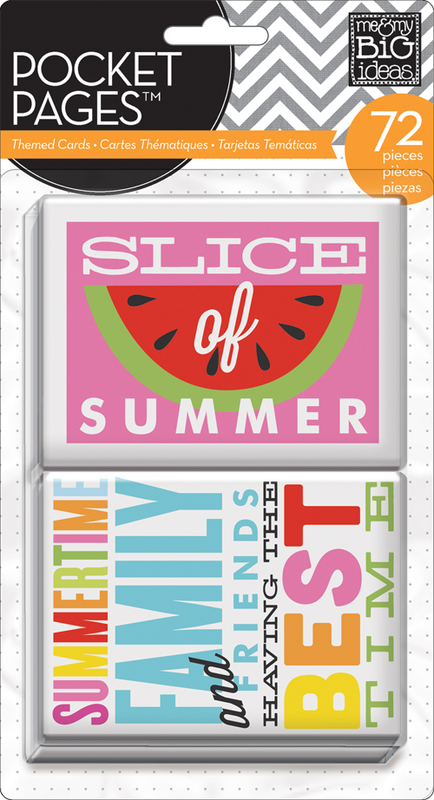 Jen used the summer POCKET PAGES™ pack but you could do this project with any of the cards. Maybe a birthday canvas, anything is possible. Get crafty!